Formal assessment of competence for nurses wishing to register in the UK. Delivered for the Public Authority for Civil Defence and Ambulance (Oman), in association with ORMS and FSC. Emergency medical response training delivered for international specialist police officers. Consultancy, advisory and training services for specialist ambulance and medical response in relation to the defined threats of Ebola and Coronavirus. Ambulance service disaster response training delivered for the Public Authority for Civil Defence and Ambulance (Oman) in association with ORMS and The FSC. Tactical level disaster response training and skills performance validation. Provision of logistical and operational support for lung health rehabilitation program film in rural Uganda. Regionally impacting earthquake with wide scale destruction, loss of life, large numbers of injured patients and displaced persons, as well as infrastructure failure. Training for 1600 (to date) medical professionals. Design, development and delivery of medical management systems training and exercises for emergency for ambulance Services. (Foresight LMC). Design, development and implementation of a national ambulance service capable of delivering emergency and urgent response across the United Kingdom and internationally. Operational level command, control and coordination for senior officers of the medical division of Public Authority for Civil Defence and Ambulance (Oman) in association with ORMS and The FSC. Design, development and provision of emergency medical training for specialist police officers. Teaching doctors and nurses in western Uganda, during a colossal influx of asylum seekers from the Democratic Republic of Congo who are fleeing inter-communal violence. 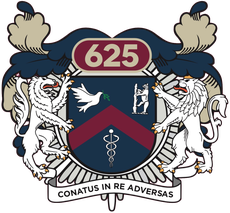 The 625 provided operational and technical support for a pulmonary rehabilitation educational film in Uganda. Development of emergency and urgent ambulance service in Banjul.